What do Mariah Carey, the cast of Glee and South Park's Eric Cartman have in common? They've all recorded the Christmas classic O Holy Night. This Christian favourite is a powerful hymn that reduces many to tears and conveys both the majestic glory and redemptive aspects of the Christmas story. Well known for its beautifully arranged score and spine tingling high notes, O Holy Night can be heard everywhere from shopping malls to cathedrals during December. According to the book Stories of Best Loved Christmas Songs the original text of O Holy Night was written in 1847 by a French poet named Placide Cappeau. After being approached by the local priest Cappeau was commissioned to write a poem in celebration of the church's new organ. The Priest's request may have come as a surprise for Cappeau, who was not considered a godly man, but he obliged. Pondering the Gospel of Luke, Cappeau wrote Minuit, ChrÃ©tiens (Midnight, Christians) as he imagined what it would have been like to witness Christ's birth. Cappeau then approached his good friend and composer, a Jewish man named Adolphe Charles Adams, to put the words to music. Three weeks later Cantique de Noel (O Holy Night) premiered at a midnight mass and became a firm favourite amongst French congregations. When Church leaders discovered that Cappeau had formally renounced the Church to join a Socialist movement, and that the song's composer was Jewish they took it off the playlist. Despite being banned in churches Cantique de Noel continued to gain popularity in homes around France. In 1855 American writer John Sullivan Dwight discovered the song and was inspired by the powerful lyrics about Christ's victory over the oppression of sin and the brotherhood of men under God. Dwight rejigged the lyrics slightly to read, 'Truly he taught us to love one another; his law is love and his gospel is peace. Chains shall he break, for the slave is our brother; and in his name all oppression shall cease'. O Holy Night was published in his magazine, Dwight's Journal of Music and quickly gained popularity with American audiences, especially in the North during the Civil War. Canadian inventor Reginald Fessenden was an early pioneer of radio broadcasting and claimed to have made the first ever transmission of voice and music. Fessenden alleges that on December 21 1906 he broadcast a recording of Handel's Largo, followed by his own voice reading the Gospel of Luke and then a live rendition of O Holy Night on the violin. There is some dispute over whether this was in fact the first transmission of voice and song, with some suggesting Fessenden fabricated the story to place himself at a key moment in history. Others claim the broadcast was a Christmas miracle. Okay, so maybe you already knew that this song is pretty popular! Songfacts.com reports that O Holy Night beat Silent Night and Once in Royal David's City to be the most downloaded carol in the UK in 2009. Official Charts Company Managing Director Martin Talbot attributes the song's modern success to the prevalence of recordings from popular divas such Celine Dion, Katherine Jenkins and Mariah Carey. What is it about O Holy Night that makes it such a crowd pleaser? Some will argue the operatic score and extraordinary vocal range needed by the soloist make it a dramatically beautiful Christmas carol. But O Holy Night is more than just lovely music. The meaning behind the words turns our hearts to the reason why we celebrate Jesus' birth. Surely the birth of an ordinary baby is wonderful â but not worth celebration more than 2000 years later? However, Jesus was no ordinary baby. His birth marks the occasion when God became a human, when God became one of us. At Christmas we remember why Jesus came. As the song says, 'long lay the world, in sin and error pining. Till he appeared, and the soul felt its worth.' The world needed a saviour, someone who would provide a way out of the mess of sin and make us right with God. I pray that as we listen to O Holy Night this Christmas our attention will be drawn away from shopping, overeating and endless images of Santa. I pray that our attention would be drawn to the one who made that holy night truly divine. Sophia Sinclair has qualifications in English, Theatre and Journalism. 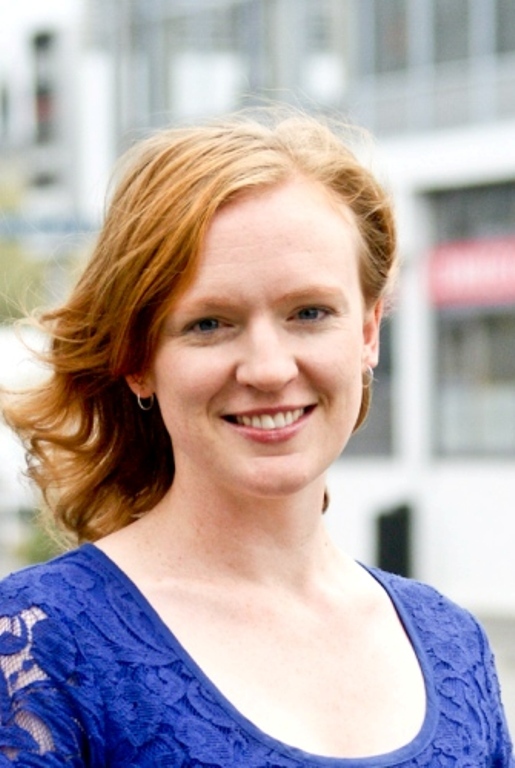 She joined the NZCMS staff team as Communications Officer in 2009 after working as a radio journalist. Sophia has been working as a freelance writer and editor while on maternity leave during 2014. She lives in Christchurch with her husband Andrew and their son Guy.